Typical Bankruptcy Process in Chapter 7 Cases. The chapter 7 bankruptcy process starts from initial consultation where the attorney will gather the bankruptcy information needed and determine the bankruptcy requirements needed to be meet. The process ends when discharge is granted under chapter 7 or 13. The chapter 7 bankruptcy process last approximately 4 months. The chapter 13 bankruptcy process lasts 3 to 5 years depending on your circumstances. 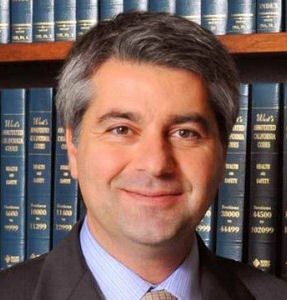 The first step is the free initial consultation with an experienced bankruptcy attorney. Initial Free Consultation and gathering the bankruptcy Information needed. The process for filing bankruptcy starts with the first meeting with a bankruptcy attorney that will gather the bankruptcy information needed to determine your financial condition and meet the bankruptcy requirements of the law. The meeting should be detailed and free of charge and with the attorney himself who will be handling the case. This meeting is as much as for the client to get to know the attorney as it is for the attorney to find the facts and circumstances of the client. 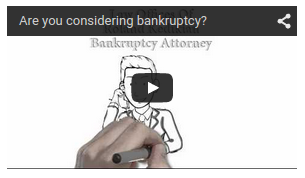 After the initial questions, I explain what bankruptcy is, the different chapters, the complete bankruptcy process, my recommendation, the cost and give you the opportunity to ask any questions you want. Preparation and meeting the bankruptcy requirements. The next step in the chapter 7 bankruptcy process is preparing the petition . Once you decide you want to move forward, The second step in the bankruptcy process is a detailed interview with the attorney himself to flush out and gather all the bankruptcy information, facts and documents needed to prepare a complete bankruptcy petition. By now, you have had the initial meeting with the attorney and the different bankruptcy option explained and a recommended course of action advised by your attorney. More importantly, you have had time to think about it and had all your questions answered. Once we complete the interview and document gathering process, we will email you complete instructions on completing the 1st online course. This course is required and and mandatory part of the bankruptcy process. The petition can not be filed until it is completed. Petition Review, Signature and filing. By now you would have completed the first online course and I would have completed the preparation of the petition. At this meeting we will go over the petition and I will explain to you all the different portions of the petition. We will verify for the last time if all the information in the bankruptcy is correct, update all changes that may have occurred between the original interview meeting and the current signature meeting. Once satisfied, You will sign the petition and we will get it filed for you electronically. The meeting of the creditors is the most stressful portion of the bankruptcy process for the client. It is critical that you have with you at the hearing the attorney who is intimately familiar with your case. I make a point of appearing myself with the client for this hearing. Some attorneys send special appearance attorneys to appear at the hearing and represent you. Completing the 2nd Online course. Once the meeting of creditors is concluded, we will provide you will all instructions to complete the 2nd online course. This is also required part of the bankruptcy process in order fro the debtor to obtain the discharge. Without completing the 2nd course, the court will close your case without discharge. After 60 days from the creditor’s meeting and if no objections has been filed, the court will process the petition and enter the discharge order.